Manicure has never sounded easier than this. 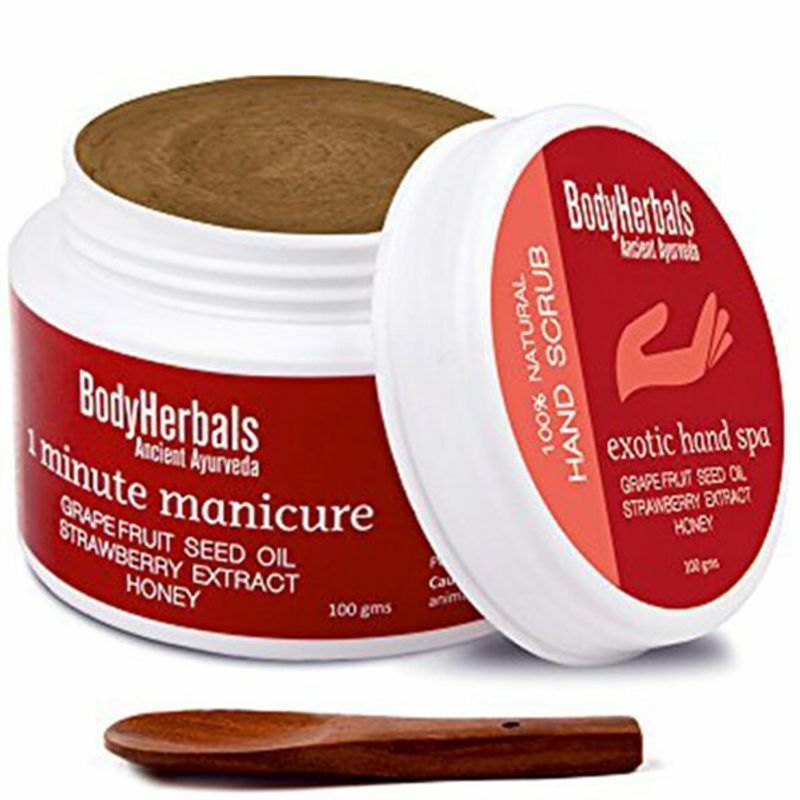 The BodyHerbals Hand Scrub (1 minute manicure) is an ultimate solution for all your manicure needs. It contains grapefruit seed oil, honey and strawberries and gives your hand a pampered nourishment. Blends the natural properties of strawberries, grapefruit seed and honey together for one powerful manicure solution. Strawberries acts as a skin whitening agent that naturally lightens your skin tone and prevent early signs of wrinkles. Honey naturally hydrates your skin and provides nourishment, thereby reducing stress. BodyHerbals Hand Scrub (1 minute manicure), from the house of BodyHerbals is the best skin whitening manicure treatment that you can gift yourself today. Explore the entire range of Manicure & Pedicure Kits available on Nykaa. Shop more BodyHerbals products here.You can browse through the complete world of BodyHerbals Manicure & Pedicure Kits .